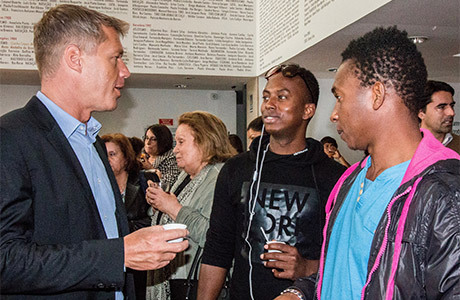 On 6 April 2017, Michael Pedersen gave the keynote speech at a Portuguese National Olympic Committee celebration of the 2017 International Day of Sport for Development and Peace. The celebration, which brought together approx. 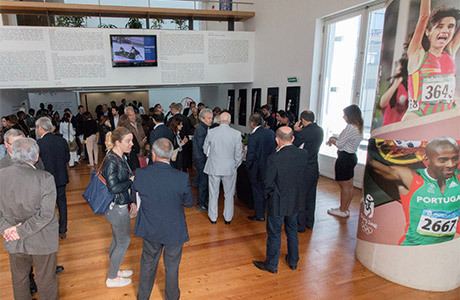 70 persons from across sport organizations and development sectors in Portugal, took place at the headquarters of the Portuguese National Olympic Committee in Lisbon, Portugal. In this speech, titled ‘Sport Without Borders’, Michael stressed that most people and organizations doing remarkable work in support of addressing various societal issues around the world have yet to fully understand, appreciate and embrace the unique power of sport in positively addressing such issues. Emphasizing the fact that sport is the only tool that cuts across traditional societal dividing lines, Michael Pedersen also shared a couple of examples of how he has been utilizing the unique power of sport in support of remarkable sport for development projects, which evolve around sport, children, values and positive societal change. Michael’s first example was from Huacachina, Peru. In this project, he has been working with a group of disadvantaged children and youth, their parents and their instructors in co-developing a framework for sandboarders, which defines winning as a mix of excellent performance and excellent behavior. Michael Pedersen’s second example was from Orange Farm township near Johannesburg, South Africa. 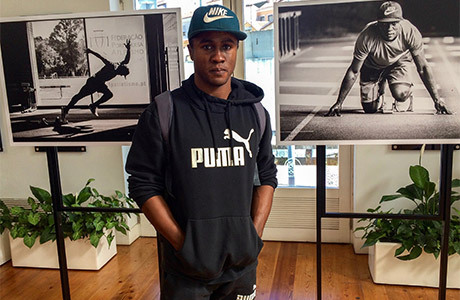 In this project, he has been working with a group of disadvantaged young adults and supported them in developing future visions for their lives through various sport values related tools and physical exercises. 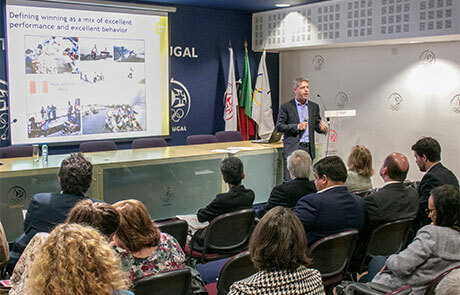 While also sharing reflections from a recent visit to a refugee camp in Pireus, Greece, Michael strongly commended the Portuguese National Olympic Committee for its remarkable work and leadership in integrating refugees through sport. 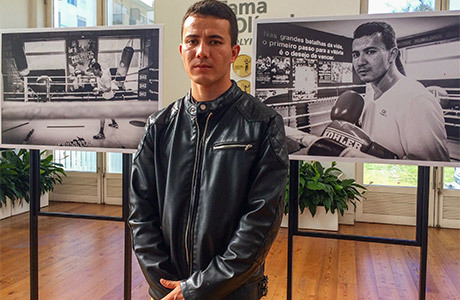 Through the project ‘Live Sport - Embrace the Future’, the Portuguese National Olympic Committee exemplifies how sport can be a powerful tool in creating social cohesion and in integrating migrants and refugees. With the support of the International Olympic Committee and in cooperation with governmental and non-governmental organizations, 65 per cent of the refugees arriving in Portugal has currently been reached through the project. 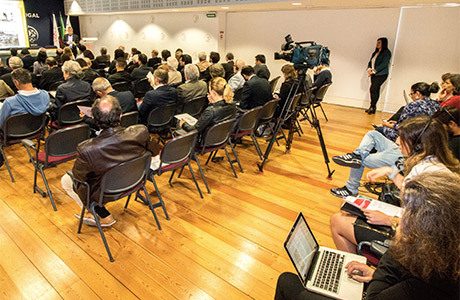 Brief video about the event, produced by the Portuguese National Olympic Committee, including perspectives of Michael Pedersen. 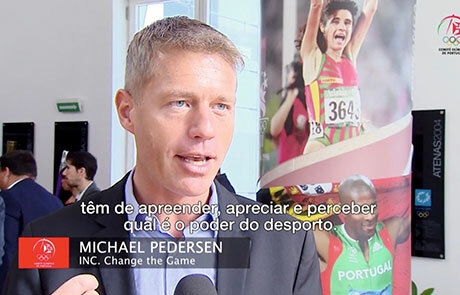 Brief video interview with Michael Pedersen, produced by the Portuguese National Olympic Committee. 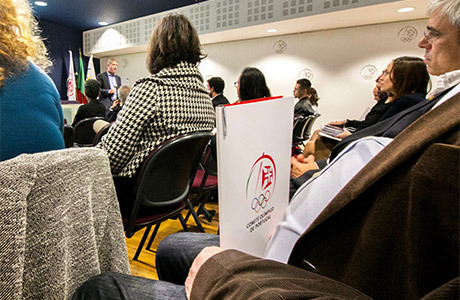 The Portuguese National Olympic Committee’s project ‘Live Sport - Embrace the Future’. M INC. > change the game activities in support of sport for development, including the two projects referred to.